The Minister for Justice on a recent interview on Newstalk, was asked about the UN’s Economic & Social Council’s recommendation to have a referendum on abortion. The UN Committee on Economic, Social and Cultural Rights report states that Ireland must reform it’s abortion laws, including having a referendum however the Minster stated that she thinks the focus should be on crisis pregnancies and lowering the number of teenage crises pregnancies. Teenagers made up less than 8% of women that travelled last year, and the numbers for the last 12 years show that teenagers have not been the majority. This is a myth which we must bust, that it is irresponsible young women who have abortions. When the facts are that no contraceptive method is 100% effective and the most recent statics from the British Pregnancy Advisory Service show that more than half of women (54%) who use their services (including women travelling from Ireland) have already given birth. Even if we did have contraception which was 100% effective there would still be unintended pregnancies, as those who perpetuate sexual abuse do not check to make sure their victims are using contraception and no woman should have to be on contraception just encase they become a victim of sexual abuse. Even if we could wave a magic wand and every pregnancy would be an intended pregnancy, there are still reasons why abortion maybe needed, due to the risks to a woman’s health not just her life and in cases of Fatal Fetal Abnormalities when a woman does not wish to continue the pregnancy. We do need a referendum to Repeal the 8th amendment before we can bring in any Abortion Rights, so that women no longer have to travel to the UK, often being separated from family when they need support. We do need education about all of the many reason’s why abortion is part of health care. 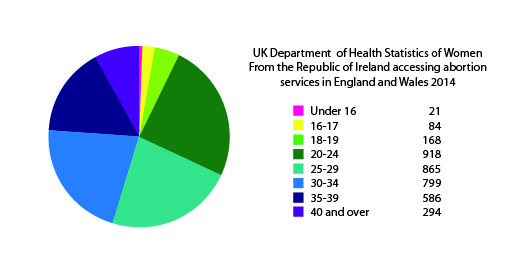 We do need education about how early access to abortion is best for women and the majority of abortions carried out in the UK are before 10 weeks, with the abortion pills which women should be able to access here via their GP. 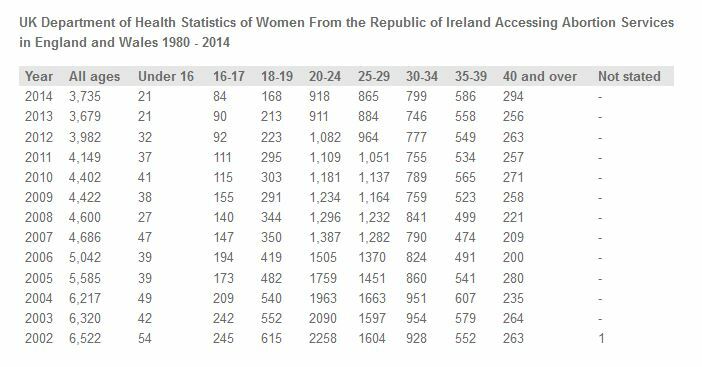 We do need education to stop the spread of the absurd myth that it is mostly teenagers who access abortion services, esp by our Ministers.